The heat on Volkswagen’s managers has risen in the past few days. At today’s General Shareholder Meeting in Germany, executives received a “tongue-lashing” from investors, in particular chairman Hans Dieter Poetsch, who is overseeing the investigation but was chief financial officer when the scandal hit last year. 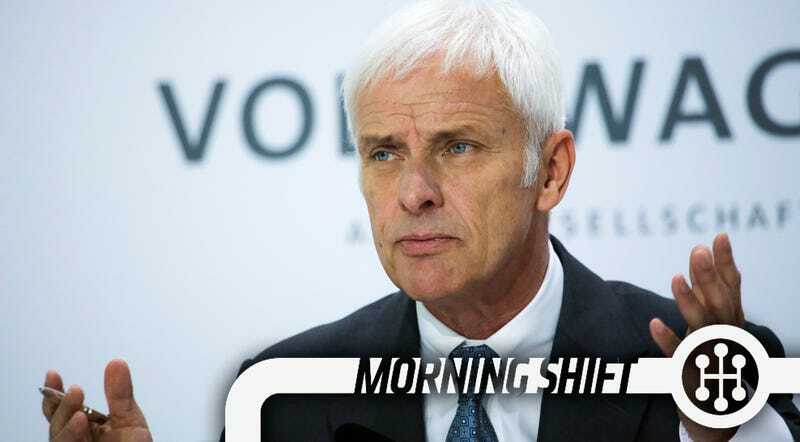 Volkswagen AG Chairman Hans Dieter Poetsch bore the brunt of investor dissatisfaction over the automaker’s handling of the emissions cheating scandal during a raucous shareholder meeting, with some even trying to remove him as host of the gathering. Poetsch received a tongue-lashing from investors for his shift last year from chief financial officer to the head of the supervisory board, which has oversight over top management. Underscoring the sour mood, some investors asked to have Stephan Weil, Lower Saxony premier and VW board member, take over the meeting. The motion was turned down. “You are a conflict of interest personified,” said Markus Dufner, managing director of the German Association of Ethical Shareholders. Shareholders tried twice to unseat Poetsch as chairman, the report says. In the past week we’ve seen a delay in the U.S. over the announcement of a diesel fix and the opening of a criminal investigation in Germany that targets two former executives. Things are rough at VW right now. Ghosn, 62, was paid a total of 1.07 billion yen for the 12 months ended March 31, up 3.5 percent from a year earlier, according to a statement distributed at Nissan’s annual meeting Wednesday in Yokohama, Japan. After posting record net income, Japan’s second-largest automaker has forecast profit in the current fiscal year will be little changed, as a stronger yen erodes overseas earnings. While Ghosn’s pay at Nissan increased, his compensation as the chief executive officer of French carmaker Renault SA was opposed by a majority of its shareholders led by the government. The executive is spearheading Nissan’s move to acquire a 34 percent stake in Mitsubishi Motors Corp., which disclosed in April it manipulated fuel economy ratings. We’ll see how that pans out after they finalize the Mitsubishi thing. 3rd Gear: Why Does Tesla Want Solar City? Musk, who is the chairman of SolarCity, CEO of Tesla and the largest shareholder of both companies, described the deal as a “no brainer” in a call with reporters. The company could sell customers an electric car, a home battery and a solar system all at once, he said. Tesla investors punished the company’s shares, however. Pour some out for the Dodge Viper. It’s dead. Slow sales, especially when compared to its cheaper arch rival the Chevrolet Corvette, have been abysmal. And while the current Viper is a fantastic machine, Fiat Chrysler couldn’t make a continued business case for it. Maurice Liang, founding president of the Viper Owners Association, on Tuesday said he hopes the company eventually decides to bring the car back. If the United Kingdom exits the European Union, those other countries could impose tariffs of as much as 10% on those vehicles. Exported auto parts could face tariffs of about 2.7%. Jaguar Land Rover, Britain’s largest carmaker, estimates its annual profit could drop by 1 billion pounds ($1.47 billion) if the “Leave the EU” supporters prevail. The pound sterling, now trading at about $1.47, would drop sharply, perhaps to as low as $1.15, according to some estimates. Europe’s fledgling economic recovery could suffer a relapse if the U.K.’s more robust auto rebound fizzles out. Neutral: Yea Or Nay On Brexit? Listen to John Oliver, people. He’s usually right.